Sony Car Audio and Bazooka Bass Tubes are now available. JL Audio components available now at Derand from $89.95, including speakers, subwoofer systems, amplifiers, etc. For a car audio quote, please call us (613-563-0029) or email us directly. For faster response time, please call the store rather than email. 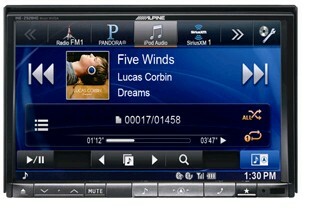 We offer a full variety of head units with CD, MP3, DVD and Blue Tooth Devices. 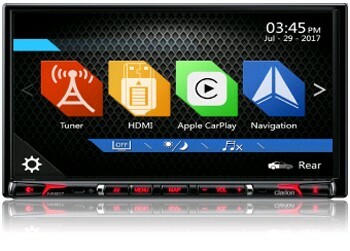 We also offer mobile theater, navigation systems for your car, SUV or mini van. If you're looking for car audio or navigation systems in the future shop at Derand, we have over 30 years of service in the Ottawa area. Please call us directly at 613-563-0029 or 1-877-337-2631 for additional details or click on the bottom logos to visit the manufacturer's website. For more information on Ottawa Car Audio, please visit www.OttawaCarAudio.ca. Winner of the 2012 CES Innovations award in the In-Vehicle Audio/Video category. Simply AMAZING. Taking pre-orders. $1,499 + parts, installation included.